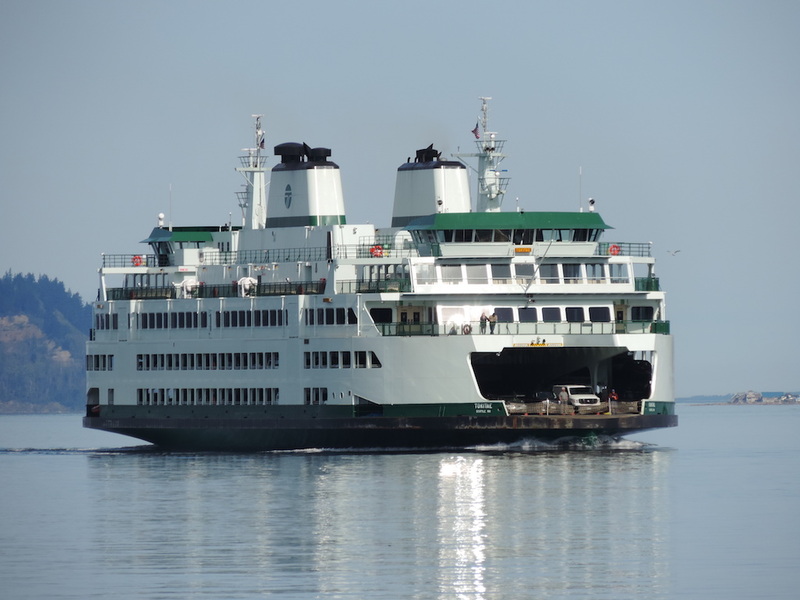 Here is a shot of a Ferry in Bellingham Washington. It seemed to be undergoing refurbishing. Anyone know what type of work is being done to this vessel? Also, I am unsure of how they actually name their Vessels. This one says 'Spokane' and then in smaller font it says 'Seattle'. I take it that the name of this boat would be 'Spokane?'. Yes, its name is Spokane. Seattle would either be its home port or where its registered if I'm not mistaken. Spokane would be the vessel name. Seattle would be the Port of Registry. Home ports normally do not appear on a vessel in the commercial marine world. Vessel names usually appear on each side of the stem (front) of a vessel on and on the stern (back end) of a vessel. Port of Registry only appears on the stern. I have spent my entire life watching ships and being involved in many facets of the marine world. It has been rewarding in many ways. It's being repainted and getting security upgrades. 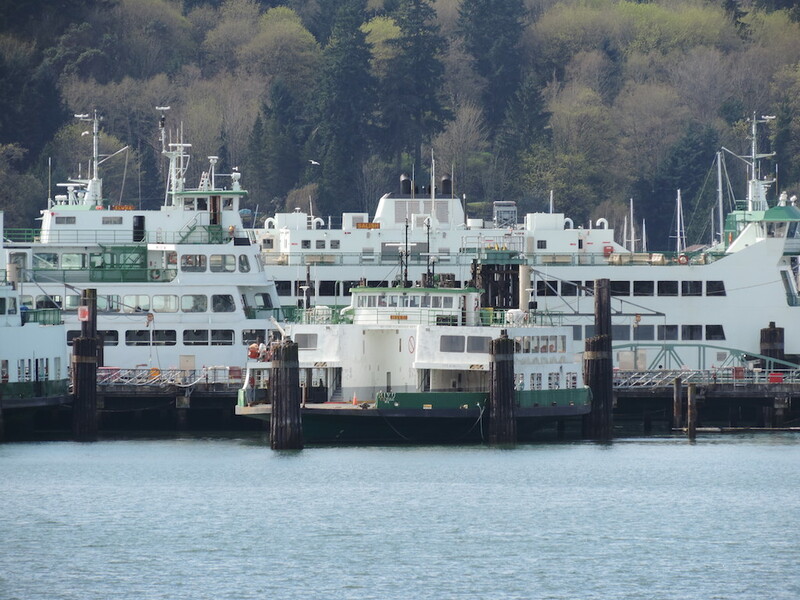 Barely visible and on the other side of the dock is the Evergreen State (the first vessel built for WSF), which is also getting security upgrades and being repainted. Yes I noticed that other vessel on the other side and wanted to take photos of it as well, but didn't know how to get over to where I could get a decent photo of it without spending the time to go rent a small boat or something! Based on what I saw looking at the area in Live Maps, it wouldn't be possible to get a good pic on land. I've got quite a few photos, along with other in Flickr group WA State Ferries. She is that useful that no route is less than 34 cars per sailing. I am joking about how useful she is. 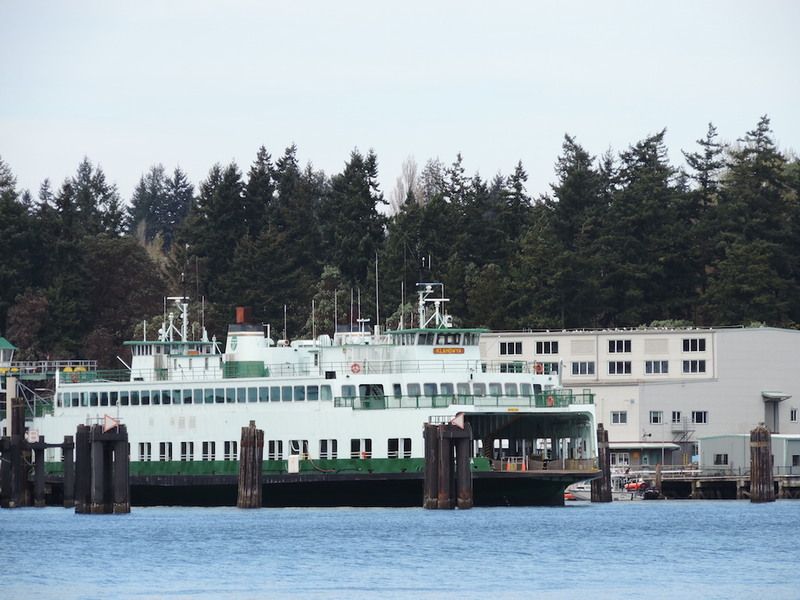 The Evergreen State was the first ferry built for the state of Washington. Since her retirement she has been in service on the Fauntleroy / Vashon Island / Southworth. Klahowya is only the ferry to service the same route for over 50 years, this has now changed since the summer of 2014 where she is the Inter - Island boat in the San Juan Islands. Tillikum is the youngest of Evergreen State Class. Jumbo Mark II is the biggest boats in the fleet. Their are three vessels in this class. Tacoma which hasn't been service since she stalled out of Bainbridge Island. Back in June the 60 year old 87-car ferry Evergreen State was decommissioned with great pomp and circumstance. 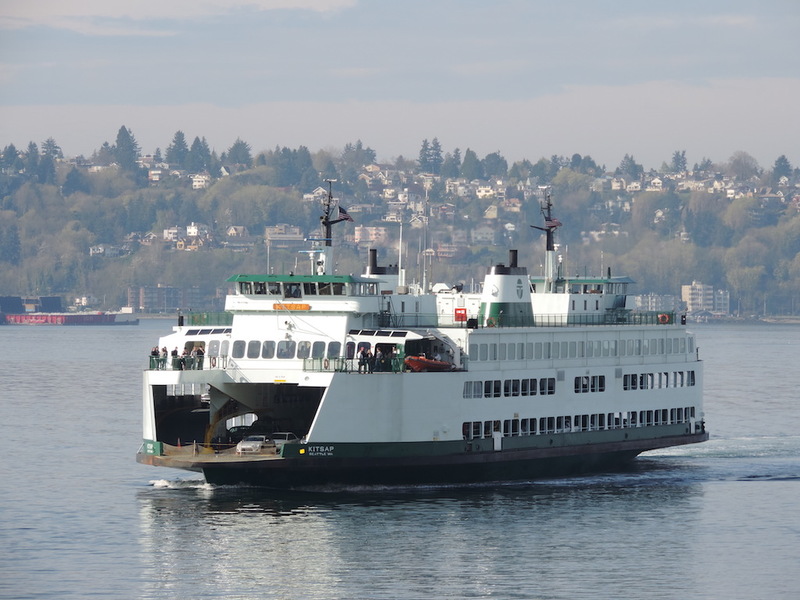 It was quietly pressed back into service after the giant 202-car ferry Tacoma died last summer... and the it’s now scheduled to be in service indefinitely as a standby vessel. 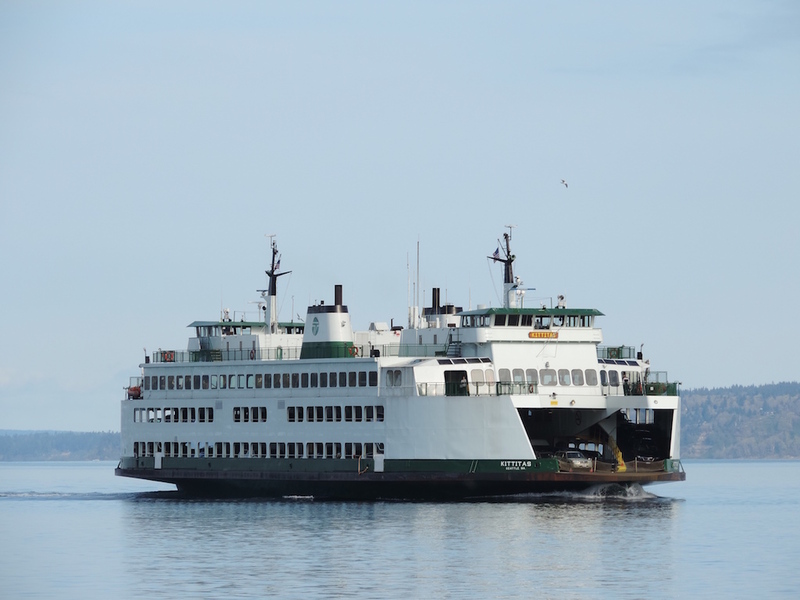 At the same time, the 34-car ferry Hiyu which has long been WSF's standby vessel is now scheduled to be decommissioned the week of May 11th. The Hiyu was the focus of a 2013 KING 5 investigation that found the state was spending hundreds of thousands of dollars a year to staff and maintain the seldom used boat (just 8 days in a 23 month period). While the Evergreen State class is very old (61-56 years old)... they are much more useful ships to have in the fleet. 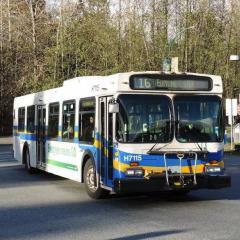 The Hiyu is slightly newer (48 years old) but the fact that it can only carry 34 cars makes it mostly useless in this day and age. I thought under the law WSF is mandated to retire 60 years old ferries no matter because of what happened with the Steel Electric class of vessels. To my understanding it's WSF's policy to retire ferries when they turn 60. But that's just a policy, not a rule or law. 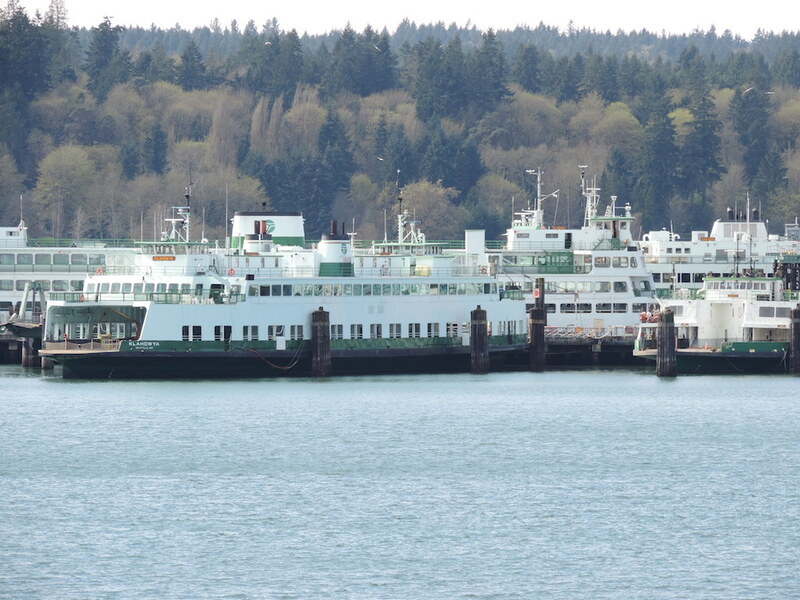 It would appear that the long term plan would be to keep the youngest vessel in the Evergreen State class, the Tillikum as a standby vessel once the final Olympic class ferry arrives. The governors budget calls for $1.5 million to fix up an older vessel to serve as a backup. 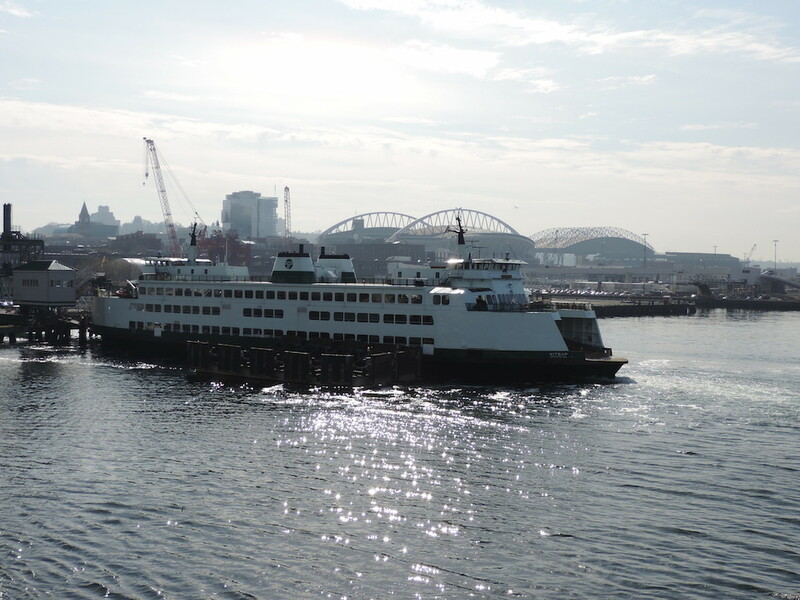 It's not specific about which ferry that would be but the Tillikum is the only ship receiving long-term funding in the budget. 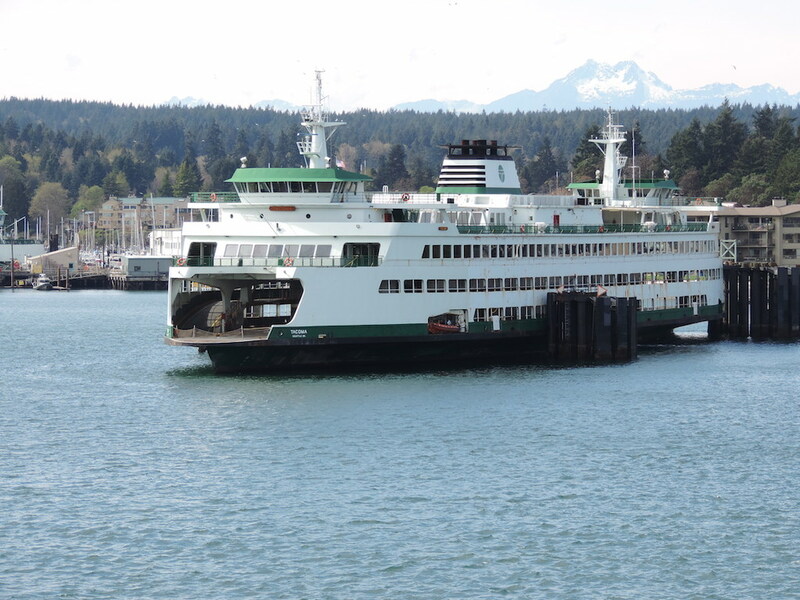 Inslee has also called for money to build a 4th Olympic class ferry which would give the system more redundancy. After that... It will probably be a long time before we are any new ferries in the sound. The Super class ferries get gold bands for their 50th birthday in just 2 years from now. At that point WSF needs to start planning on how to replace 4 very large ships. The Tillikum is in the best shape of the three. The Klahowya is in the worst shape due to the condition of her drive motors. The Evergreen State is somewhere in between. That is good to hear fourth Olympic class may be funded. I heard that the Elwha, Yakima, Kaleetan are Super class vessels that will be retired no matter. So, that is 3 new vessels which will be part of the Olympic class. Olympic class has two phase to retire or put on standby the Evergreen State class and retire the Hiyu and then second phase will replace 3 out of 4 Super class. 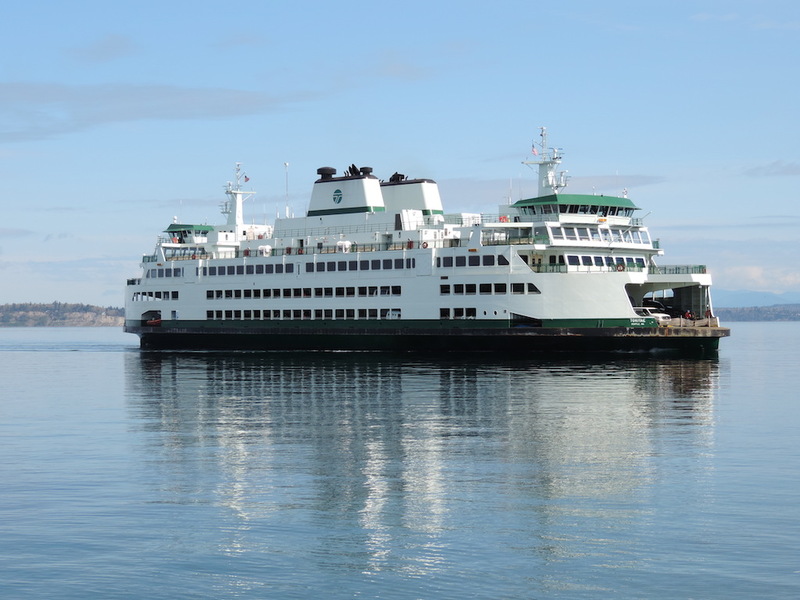 The Samish will begin service on June 14, 2015 in the San Juan Islands will she will most like displace the Hyak or Yakima for the rest of their lives. 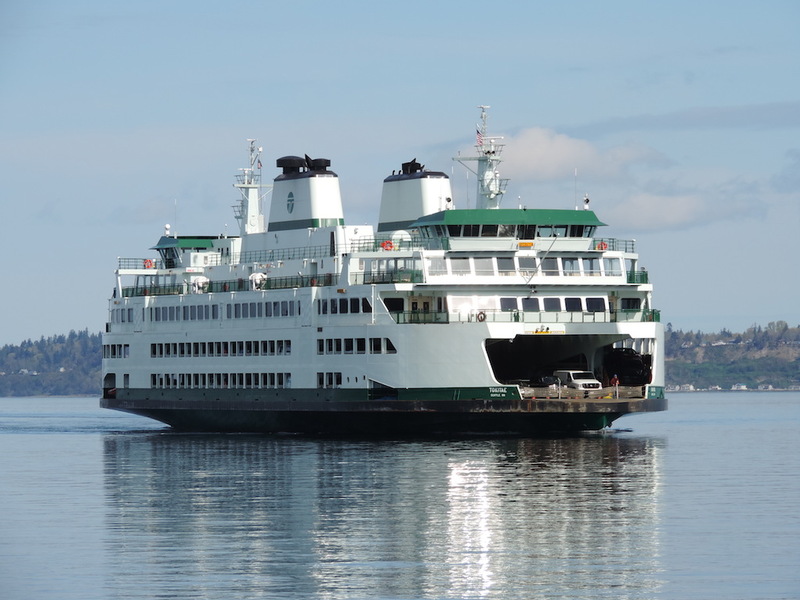 ​Hyak or Yakima will most likely be a spare vessel or be permanently place Seattle - Bremerton along with the Kaleetan will more passenger capacity is need. 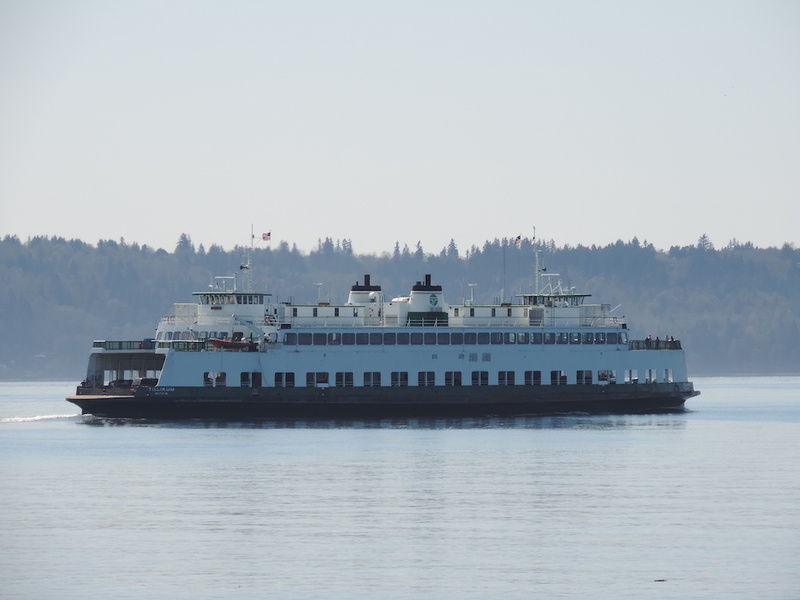 The permanently vessel Kitsap can only take 1200 passenger per sailing. Where the Hyak, Yakima and the fall, winter and spring Kaleetan is list at 2000 passenger per sailing. The summer schedule has Walla Walla which can carry 2000 passenger per sailing. This is the basic design for the Hyak, Yakima and Elwha. The Hiyu is schedule to be retired in May of 2015 between the March 11th and March 18th. You're right about the Samish going into service on June 14th. 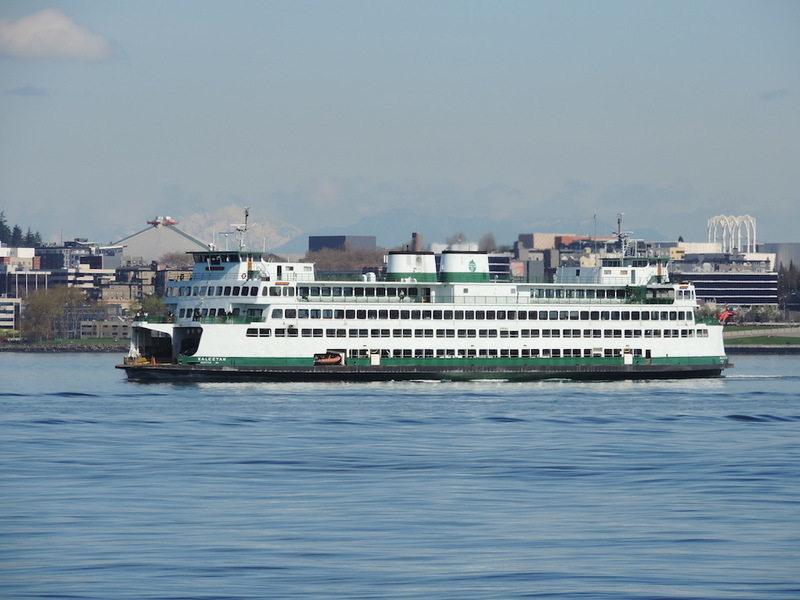 Bur right now the schedule has the Hyak and the Kitsap working the Seattle-Bremerton run at the start of the Summer 2015 sailing season. That's because both the Tacoma and Kaleetan will be in dry dock at that time. Both the Evergreen State and Tillikum will be on standby. 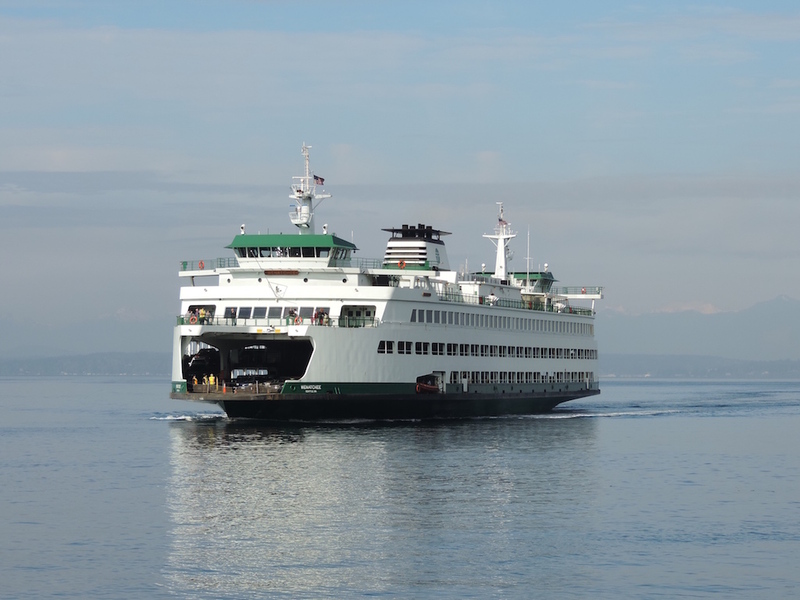 The Walla Walla will be working the Edmonds-Kingston route alongside her sister ship the Spokane. It's a little soon to say what the permanent fleet assignments will be... there's a lot of moving parts now that there are 2 new ships in the fleet. Not really because Kaleetan could be in dry dock for a month, I cannot determine that according to maintenance schedule. 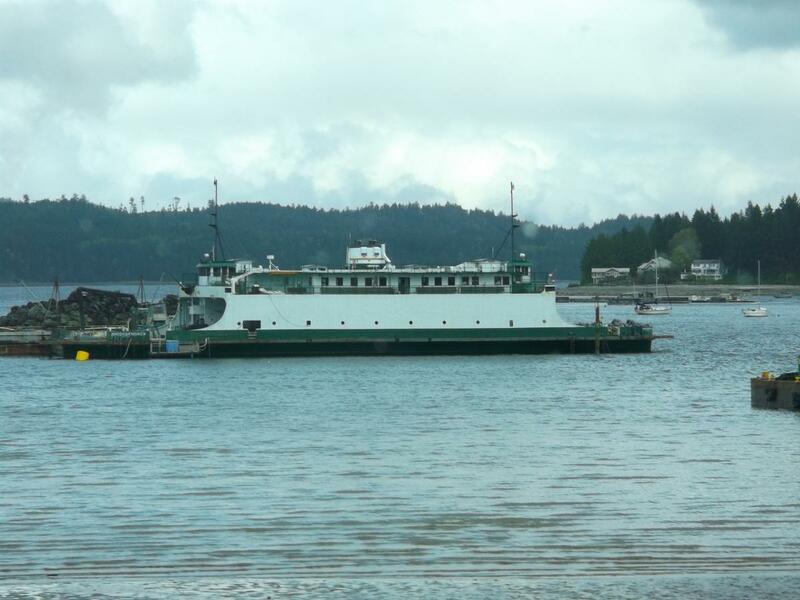 The Kaleetan will most likely be place back on the Seattle to Bremerton and the Hyak will not need to go back to San Jaun Island with the Samish being in service except to replace one of the vessels during the summer. I do not know why the one of Super class will need to go into maintenance reverse when two Supers could be put on the Bremerton since the Kitsap reachs capacity on most sailing. If two Supers are on the Bremorton this could shift the Kitsap to the Fauntleroy / Vashon / Southworth route to increase capacity. 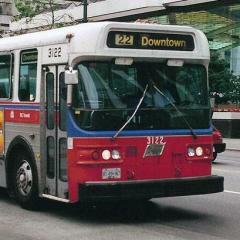 This would retire the Evergreen State because the Tilikum would become the standby vessel. When the Chimacum is in service the Sealth will become the Inter-Island vessel in the San Juan and retire the Klahowya. All other vessel assignments will stay the same except the Sidney vessel which can only be the the Chelan or Elwha. 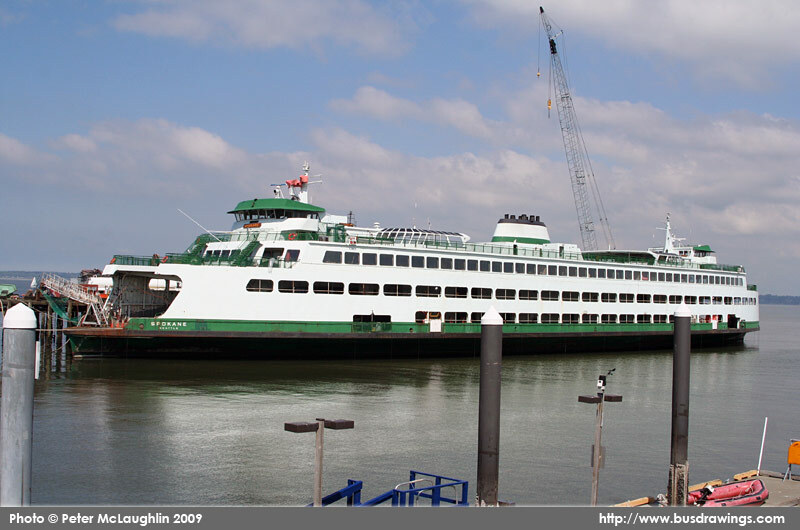 Since the route is seasonally schedule the Chelan will operate on it and not the Elwha. This would allow the state to degrade the Elwha to a non - SOLAS certificate until the SOLAS Olympic Class is built. The state will need to build one of Olympic Class to SOLAS status which she could operate on the Sidney route. After she is build she would be the permeant vessel on the Sidney route but the Chelan will still keep her SOLAS certificate valid until she gets retired or replace by another SOLAS boat. My plan will keep two vessel in the whole fleet with SOLAS. 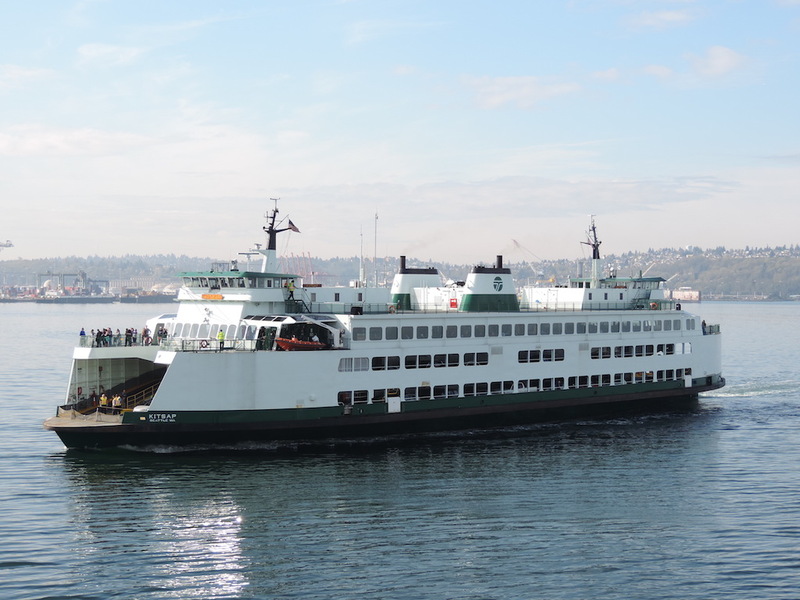 The other vessel switch would be one of Super vessel on the Bremerton route will would get replace by the Walla Walla during the peak season from late spring until early fall also during the Christmas Break. I found this former Washington State Ferry anchored near Qualicum Beach BC. Apparently she's a fishing trawler these days. Anyone know some history on her? Built for service on Chesapeake Bay, she made her way over to WSF many, many years ago. For the last twenty years, she held down the fort on the Point Defiance - Tahlequah run in South Puget Sound. She was finally retired a few years ago, and is now a fish processor. Port Townsend to Coupeville was closed this weekend to upgrade the Coupleville terminal. 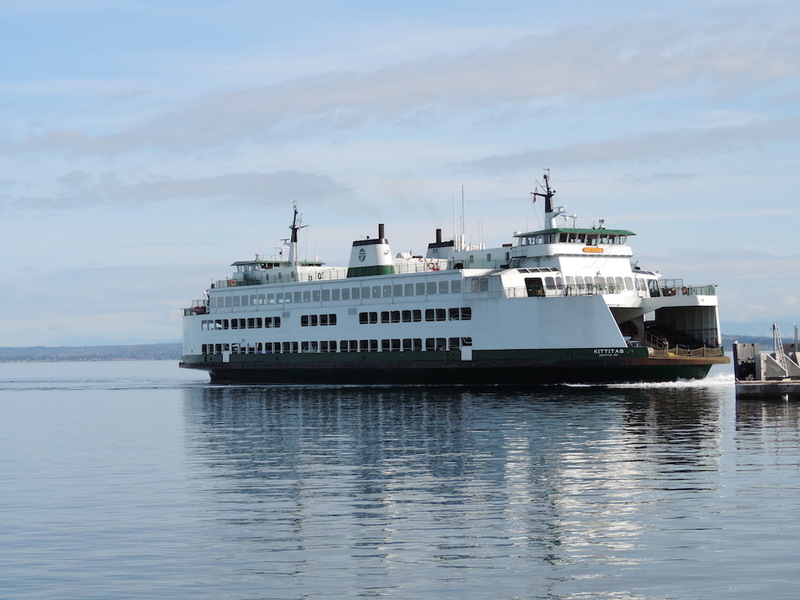 A third boat is on the Edmonds to Kingston route only on Sunday. 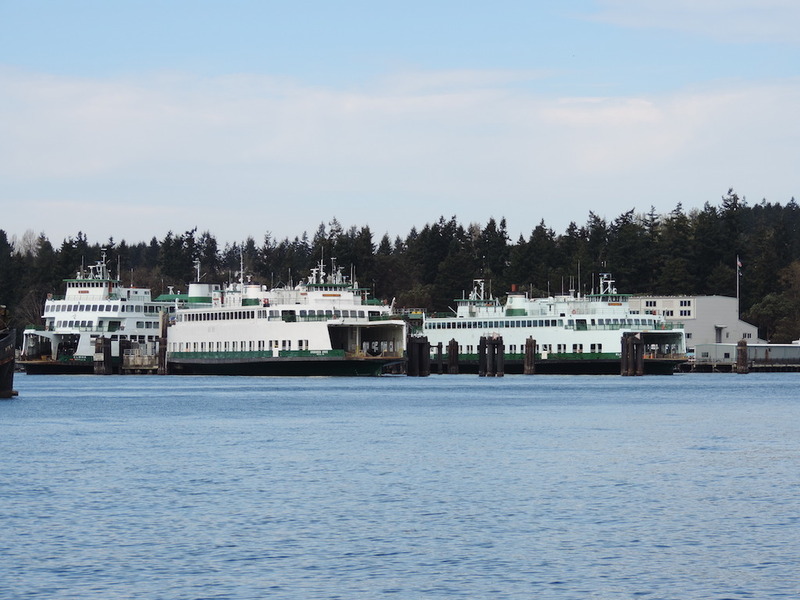 While the Port Townsend to Coupeville route was out of service, it was actually a busy weekend for the ferries. 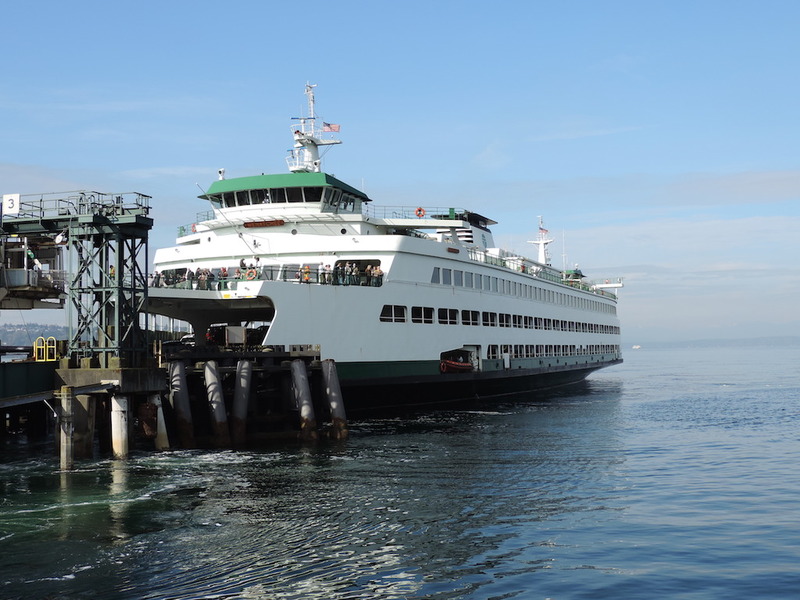 On Saturday the Kennewick participated in a day-long emergency training exercise in Port Townsend and on Sunday the Salish went down to work on the Edmonds to Kingston route. The ferry Tacoma lost power while approaching Colman Dock in Seattle and had to be pushed in by two tug boats around 5pm this evening. It's now 8:30pm and from my balcony in Downtown I can see exhaust coming from the Tacoma, it hasn't moved an inch since it was pushed in. 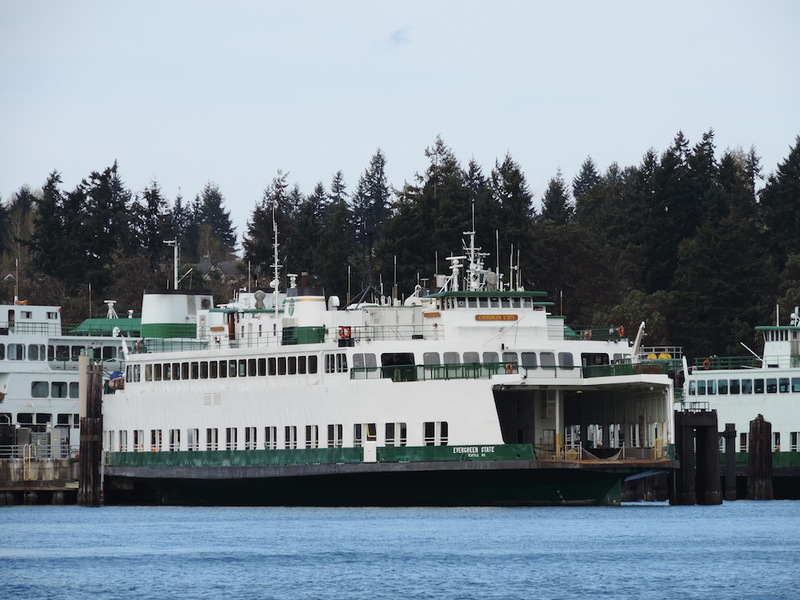 The ferry Issaquah was pulled off the Fauntleroy/Vashon/Southworth route and is now serving on the Bainbridge Island/Seattle route. 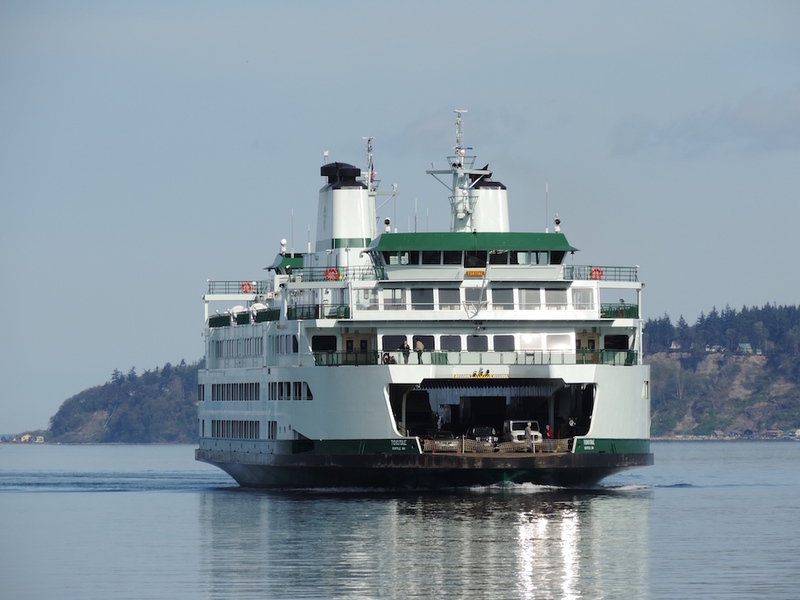 If the Tacoma isn't fixed by tomorrow WSF says it will put the Evergreen State into service on the Fauntleroy/Vashon/Southworth route as the 3rd boat. The Tacoma has returned to service today. 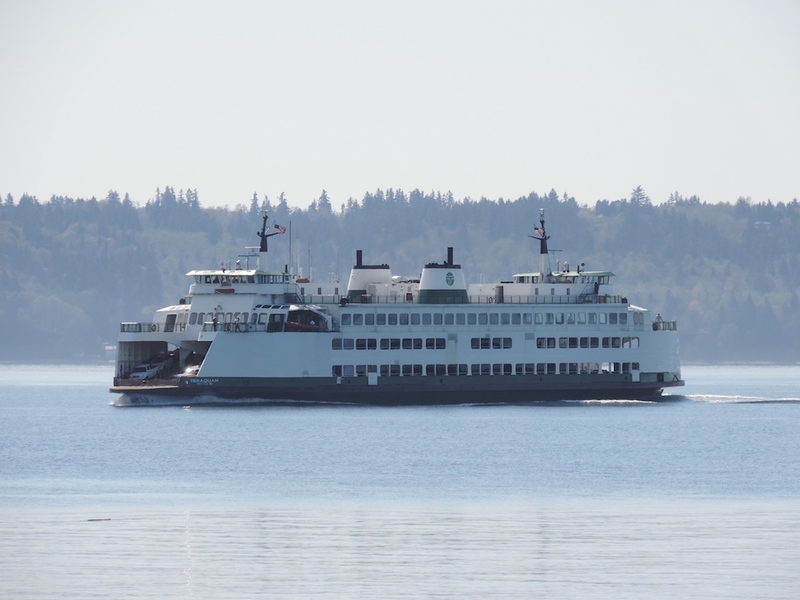 The Hiyu could be the replacement for Whatcom Chief to help increase capacity for Lummi Island ferry. Go back and look at the other posts on that forum. 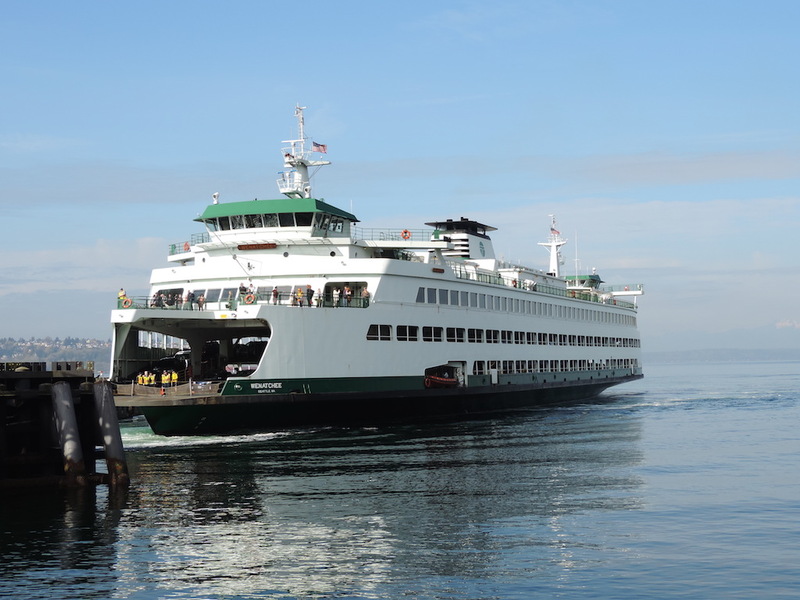 Basically Whatcom County said that it looked into acquiring the Hiyu and found that it would be just too expensive to make it work for the Lummi Island ferry. The county wants to continue to try to purchase a new ferry.